Life Changing Summer is a three-week immersive entrepreneurship course for the most promising and passionate high school students. Run by Cornell University members who have years of experience with startups and programming. Supported by Life Changing Labs and Entrepreneurship at Cornell. Our mission is to educate and empower the next generation of leaders in entrepreneurship. We select up to 50 of the top high school students from around the world to participate. Underserved students will be eligible to receive full scholarships on need basis. The comprehensive curriculum includes foundational thinking in entrepreneurship, basics of web development (no prior experience required), and tenets of best design practice. All teaching is done in open collaborative environment to promote team building and communication. Students will have opportunities to network with experienced entrepreneurs as well as Cornell student founders. We believe in the power of a strong network and community which can provide students with benefits lasting well-beyond the summer. Guest Speakers: last year included Dylan Reid (Forbes 30 under 30), John Alexander (founder of CBORD Group), Scott Belsky (founder of Behance, investor in Uber, Pinterest), and others. $2500 Tuition + Lunches – covers programming, activities, and staff costs. Participants are responsible for their own lodging and/or transportation. Recommended for local students. $4500 Tuition + Housing + Dining – covers all of the above plus housing provided on Cornell campus plus 3 meals per day. Recommended for international students. We offer need-based full scholarships for under-served students. Please ask for details when you apply. Select the student to read their testimonial! The P!LLPAL system is a wearable technology that stores medication and notifies the wearer when it’s time to take his or her medication by vibrating and dispensing pills. Instalert allows users to be notified via alarms and text messages when cabinets containing dangerous material are opened by small children. Portal is an easy, reliable, and affordable way for everyone to play old game. It also enables users to create their own games and join a community. Peter is the Founder of Life Changing Labs, a summer incubator and mentorship network for Cornell entrepreneurs, and Life Changing Summer, a program teaching entrepreneurship and programming to high school students across the world. He also works at Entrepreneurship at Cornell and serves on the Advisory Council. Currently, he leads StartupTree as its CEO to help fuel the growth of university entrepreneurship globally. Michael is Managing Director of Life Changing Labs, Founder of LCL's summer startup incubator program, founder of LCS's global high school eship and computer science program, Lead Thinker at Aesir Lab, and principal organizer of Cornell's first ever Make-a-thon event. He is an award-winning photographer, architectural designer, and budding philanthropist. His work as an entrepreneur focuses on creating life changing opportunities for designers, engineers, and entrepreneurs to collaborate. Beverly Wallenstein is the Managing Director of Life Changing Summer and the founder of Girls Mean Business. She has extensive experience with program managing, and specializes in youth entrepreneurship programming. Beverly also has experience in many business plan competitions including the New York State Business Plan Competition and winning the Esprit De Corps Award. She loves entrepreneurship and is passionate about getting more women and girls into business. Hyun is a Junior in the College of Arts and Sciences majoring in Computer Science with a passion for turning ideas into reality. He is actively looking for the next thing to build. Last summer, he worked as a research assistant at the Molnar group of the Electrical Computer Engineering department at Cornell where he made a testing software with interactive graphical user interface. He values using technology to find practical solutions for real world problems to help other people. Jean is a rising junior majoring in Mechanical Engineering in the College of Engineering. He works on a wide array of projects on campus from the Cornell Hyperloop team to helping a startup create a ultra customizable keyboard. 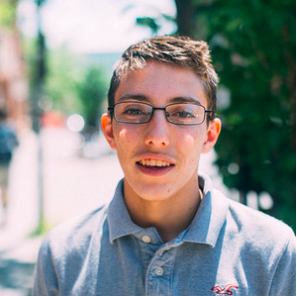 Jean first attended LCS as a high school student before coming to Cornell and is excited to be on the other side to help recreate the awesome and life changing experience he had during the program. As a hardware enthusiast, he is happy to answer or find you the answer for any questions students have regarding technology or hardware. Ready to make most of your summer? Let’s get started. Enter your information below, and we will send you more details on how you can apply. Early Application Deadline - January 31st, 2019. Final Application Deadline - April 7th, 2019. If you have any questions, then please contact us here. Thank you! We will be contacting you shortly with more details on how you can apply!